← What is American Football? I am planning to go to Ukraine soon. But who knows if there will even be a Ukraine left in a few months. Russia is coming closer, at least geographically. To be on the safe side, I want to apply for a Russian visa before the expansion of the largest country in the world which still feels too small will go so far that I won’t even be able to step outside of my house without a visa for Russia. Thus I ask around for the way to the Russian Embassy. “Large red house” is part of every response I receive, and after I have already passed the German, French, Italian, British and Austrian embassies, I am confident that I am in the right part of town. “This must be it,” I think as I turn into Vojvode Batrića Street. And indeed: through the open gate I spot the Russian eagle above the wide set of stairs. 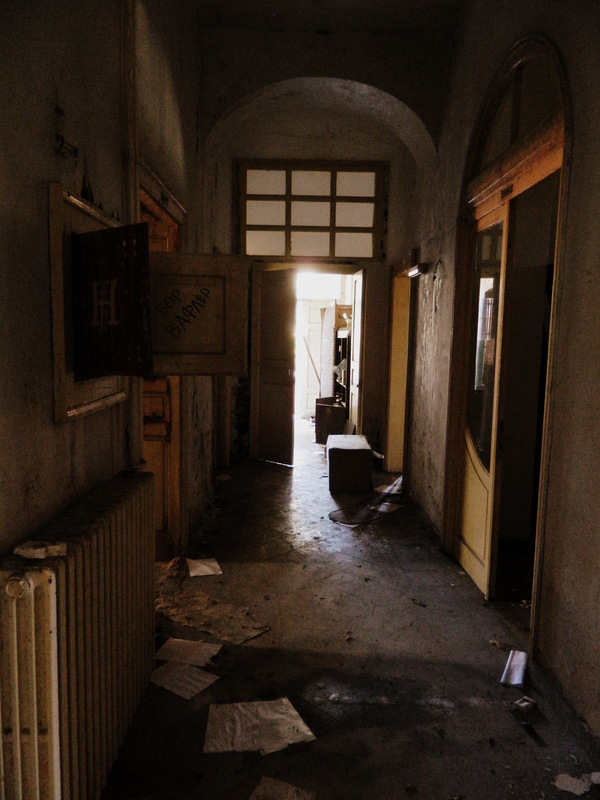 The courtyard appears a bit unkempt. Grass unfurls through cracks in the stone slabs. Maybe the gardener is on holiday. After all, it is summer. In the upper floor, all the windows are open. The door is locked, and there is no bell. I knock. No reaction. No sound at all comes from the house. Then I realize that the branch office of the Kremlin will hardly receive simple visa solicitants through the front door. For such mundane requests, buildings like this usually have a side entrance or a separate building to prevent the ordinary plebs from accidentally mixing with visiting ambassadors and kings. Carefully I sneak through the garden and locate the anticipated side entrance. The door is invitingly open. There is neither a bell with which I could announce my presence, nor a guard to whom I could present my cause, so I enter gallantly. The lunch break is not only in full swing, but apparently it is also compulsory for all the embassy’s staff from the ambassador to the archivist, because I still don’t run into any human being. 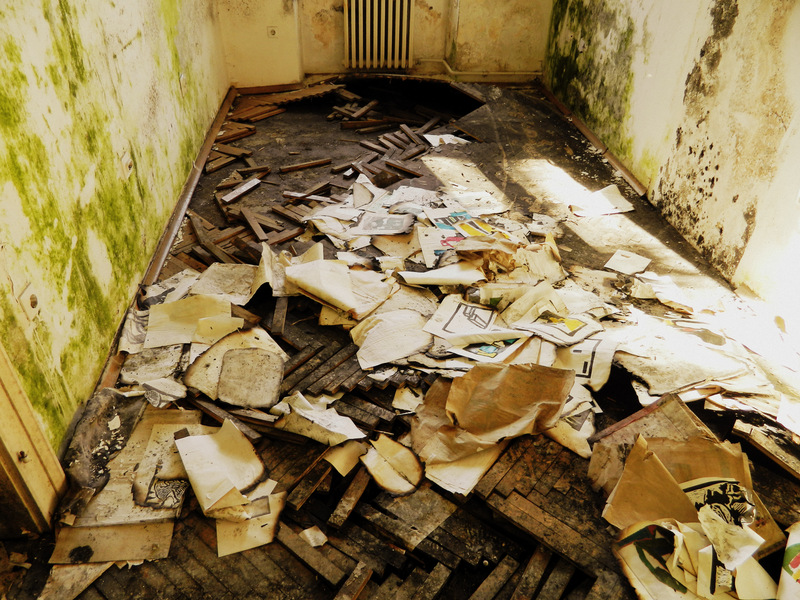 Some of the rooms look as abandoned as if they hadn’t been used since the Russian Revolution. But the last time this palace was used doesn’t date back quite that far. 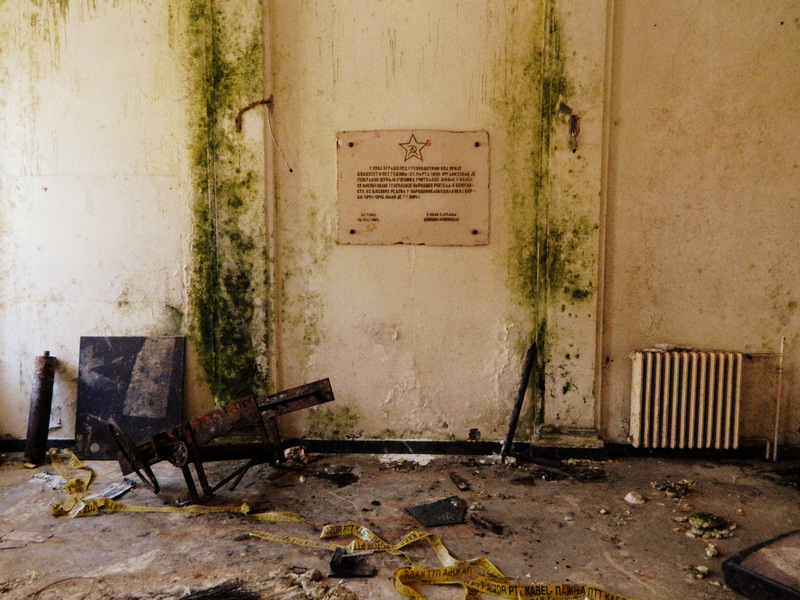 In another, larger room, a plaque is fixed on the wall which dates from 1968. Hammer and sickle, these symbols of an era long gone by. If one of the readers has the talent to decipher Cyrillic letters, he/she may click on the photo for the purpose of enlarging it and make an attempt at translating the inscription. The deeper I dare to advance into this erstwhile bureaucratic labyrinth, the more I gain the impression that it was in great hurry that it was left behind. It is no secret that Russia’s economy is tanking since the annexation of Crimea, yet I am surprised how bad it really looks. 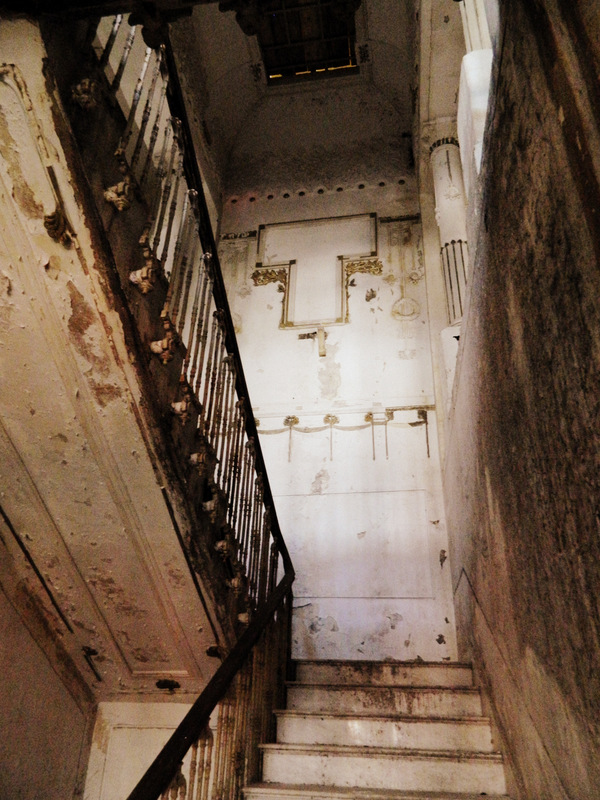 The staircase with columns, stucco and ornate banisters shows signs of former grandesse. Silently, carefully and slowly, I venture upstairs. I am aware that I would be trapped if I heard the door close now. But my curiosity prevails. 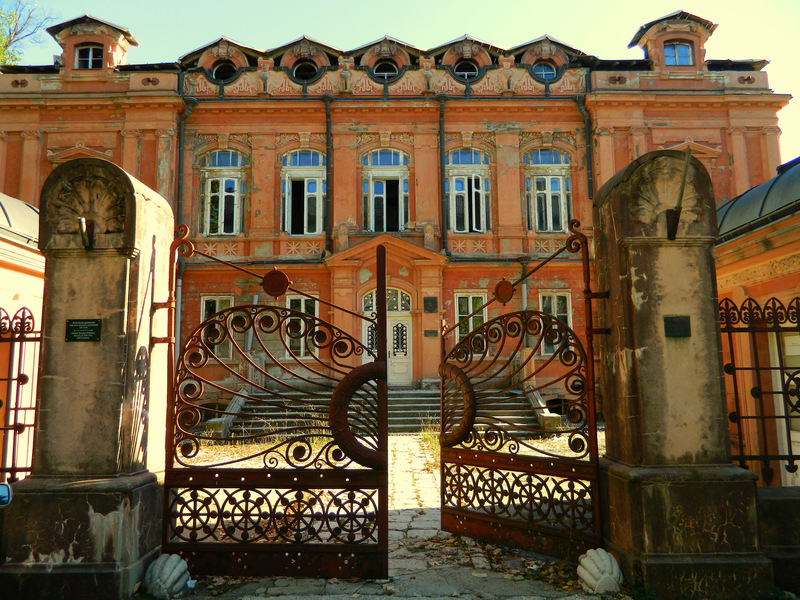 On the upper floor, the whole splendor of the Russian ambassadorial palace unfolds, cognizable even after a hundred years. 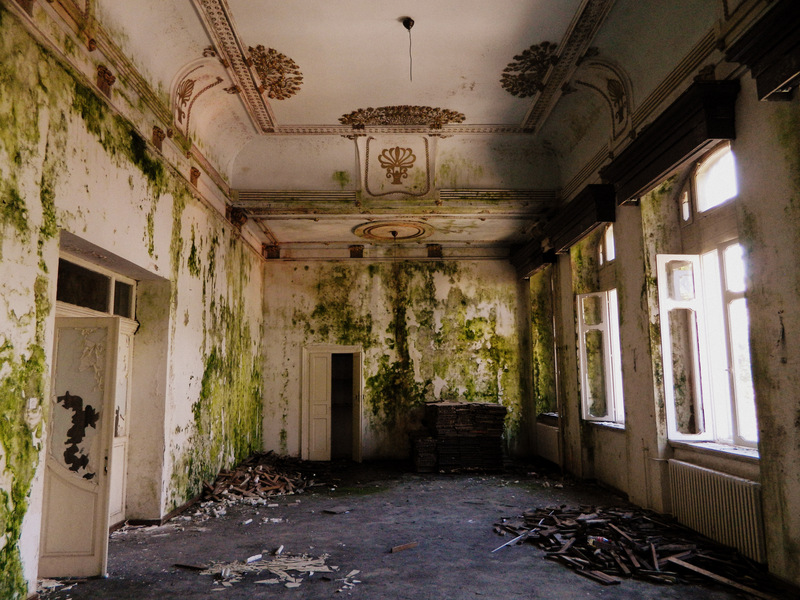 It is completely quiet now, but I can easily imagine a vivid soirée, in tailcoats and dresses, glasses filled with rum, vodka and gin, with pipes, cigars and monocles and a gramophone playing music by Borodin or Mussorgski. Nights were spent here, discussing the ailing Ottoman Empire, the war in Albania, petroleum shipments from Persia, railway lines across the Balkans, the Japanese attack on Port Arthur and Bloody Sunday. I am in Cetinje. One hundred years ago, this small town in the mountains was the capital first of the Principality and then of the Kingdom of Montenegro. The time of the kingdom didn’t last long, from 1910 to 1918. One king (Nikola) was absolutely sufficient for that. Now, Cetinje has a population of around 16,000. The census of 1910 indicated 5,895 inhabitants. At the time, it was the smallest capital in Europe. Nothing more than a larger village, where kings, princes, politicians, artists and intellectuals met and lived almost like their colleagues in Berlin, Paris and Vienna. Only closer to the sea. Then came World War I. This entry was posted in History, Montenegro, Photography, Russia, Travel and tagged Cetinje, World War I. Bookmark the permalink. Unfortunately, the sign is too blurry to read it – or it may just be in Macedonian or Serbo-Croatian. Or maybe I just need a better phone. The photo is probably blurry because I was trembling with fear while I took it. If someone had caught me, they might have taken me to Russia and straight to the Lubyanka. The sign might indeed be in Serbo-Croatian because it was put up during the time of Yugoslavia. :-)) I like how you see the positive side of everything! Any idea when it was abandoned or what lead to that happening? I would imagine that during the Cold War, the USSR had many ‘Embassies / Consulates’, if for any reason, to provide them with an ear to the ground. Who knows, maybe there are still some devices left that are being monitored in some forgotten basement office at Lubyanka by one of Uncle Felix’s proteges. Simply because no-one told him to stop! They know you were there, Andreas! Do you have any comment concerning Ukranian citizens being bombed and killed by Ukranian army? I don’t understand how property like this could just be abandoned. Isn’t there anyone interested in developing such a place. This piece is beautifully written, I feel like I’m reading through a mystery novel. 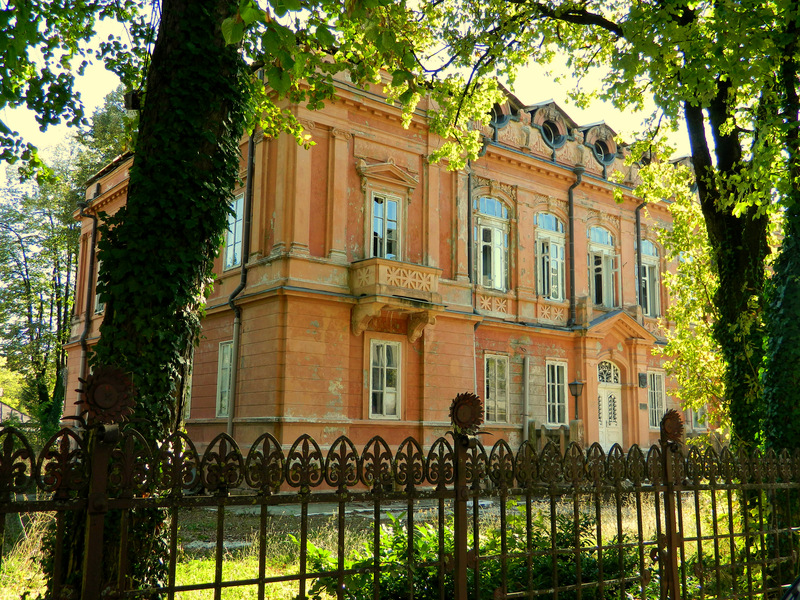 The old Russian embassy is owned by the Arts Faculty of the university in Cetinje. In the backyard of the building there was a workshop for sculptors, but I also have no idea why they don’t use the building itself. Maybe they have enough rooms already and simply don’t need it. It’s not a crowded or overpopulated city, it seems to me. Hi Adreas! That Russian embassy was my working place for 20 years now.Unfortunately a great fire destroyed it on 14.06.2012.year.Really sad story :( I will missed it forever. 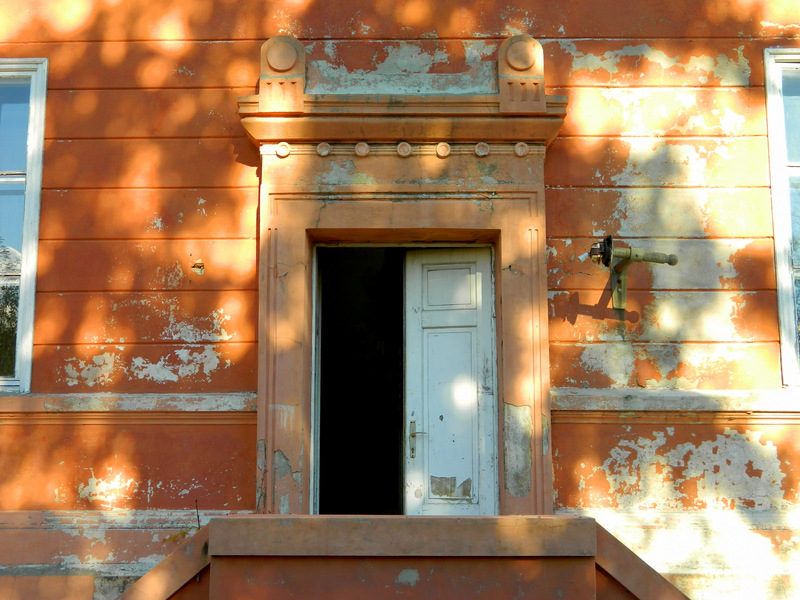 Even after the fire, the building has more charm and spirit than many other buildings. this building has been the faculty of fine arts for the past 30-40 years, until a couple years ago it suffered a great fire due to some bad electric installations. 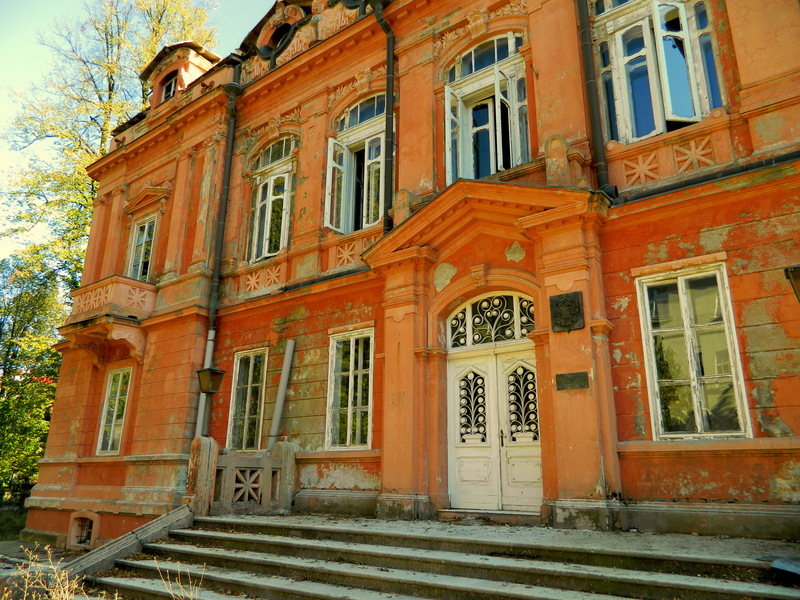 Mostly all of the foreign embassies in Cetinje have been transformed into art schools. The English embassy is now music academy, the Turkish drama school. I used to study there 20 years ago. the building is now closed and hopefully it will be restored some day soon. The saying on the wall you were wondering about is a memorial plate for a student upraise that happened on the 27.03.1940. Hope that helps. U ovoj zgradi pod rukovodstvom KPJ prije 25 godina 21. marta 1940 – organizovan je generalni strajk ucenika uciteljske skole u kojoj su vaspitane generacije narodnih ucitelja i komunista. Iz njihovih redova u narodnooslobodilackoj borbi 1941-1945 palo je 71 borac. В этом здании под руководством КПЮ 25 лет назад 21 марта 1940 – организовал всеобщую забастовку студентов в педагогических колледжах, которые воспитываются поколения народных учителей и коммунистов. Из их рядов в национально-освободительной войны 1941-1945 упал 71 бойца. 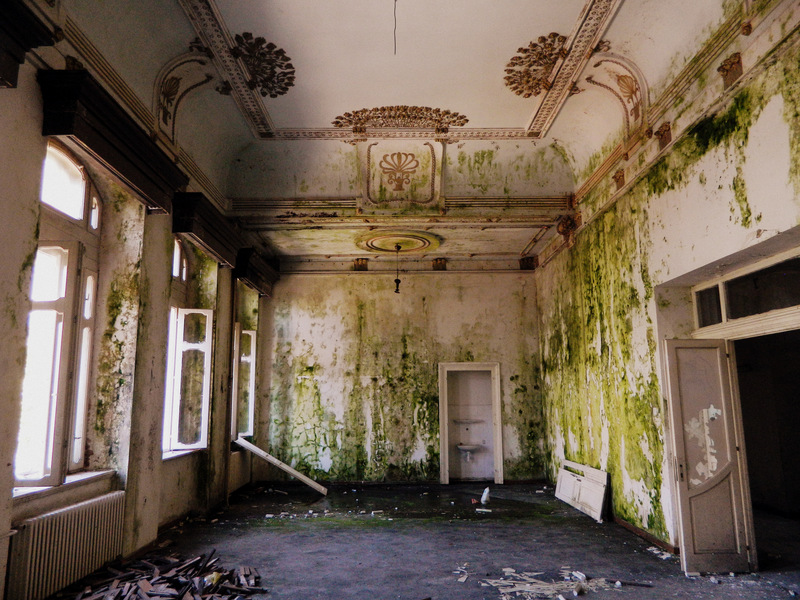 In this building under the leadership of the Yugoslav Communist Party 25 years ago on March 21, 1940 – was organized the general strike of students in teachers’ colleges which brought up generations of national teachers and Communists. Out of their rows in national liberation war 1941-1945 has fallen 71 fighter.